Littering, it makes me mad regardless of the circumstance! 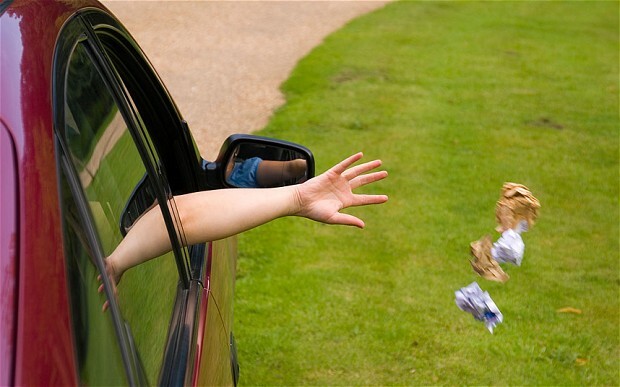 There is absolutely no reason why anyone needs to pitch their garbage out of their car window, throw it on the ground or surreptitiously forget some discarded waste under a bench, it is disrespectful and inconsiderate on so many levels. Why does trash make me feel irate and and ready to launch into a rant? There is an individual who likes to drive down a main artery in my subdivision and pitch their half eaten food and it’s receptacle, out of the vehicle as they are driving. 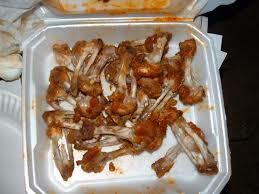 Recently it was half an eaten pizza and today, a box of chicken bones and a few errant fries. First off, it’s unsightly, secondly it encourages skunks, raccoon’s and squirrels to forage at the side of the road, often resulting in their deaths. And, it endangers the lives of people’s pets who are walking along and chomp down on a foreign item, like a chicken bone, which is dangerous for a dogs digestive tract, not to mention they could choke. If I ever see this litter bug in action I am hoping to get their license plate and report them. It’s a fleeting thing, you buy some food, you tire of it, then you pitch whatever disinterests you out the window, and you forget about what you have done, it’s long forgotten laying by a curbside and you move along without thinking that every action has a consequence. What probably doesn’t seem like a big deal to the person who is challenged about where to throw out their waste, was in fact life altering to the skunk that was dining on it at the curb side, and then to the woman who swerved to miss the animal, ploughing through a fence, nearly hitting the man who was trimming his shrubs on the other side. All those lives experience ramifications because of one person’s blatant disregard for doing something so simple as to do what is right . This morning I struggled to get a chicken wing out of one of my little charges jaw, hoping that I got it all and that they won’t experience any significant discomfort from what looked like a tasty morsel left for them to enjoy. Garbage belongs in a trash can, it isn’t rocket science!